So I’m liable to skate over some of the apparently ‘simple’ ones or the most straightforward ways of practicing them. Take sauca. Cleanliness. I can tie myself in mental knots about moral purity or what clean thinking might be for as long as I have energy to fret at it, but today was a day when the more literal meaning of outer cleanliness was more relevant. It started with post-class dilemma about whether to wash my hair or not given that I was heading straight to the hairdresser. Kind of felt wrong not too while I was in the shower, but my hairdresser’s pretty posh and not the kind of salon where you turn up slightly damp and suggest they just get started on the cutting straight away. So I sat back and enjoyed a bit of pampering (2 shampoos plus conditioner — and a rather nice scalp massage, thanks very much!) and tried not to think about the waste of water. Then a discussion with my hairdresser about the state of my hair. Verdict: too dry. Probable cause: often daily washing and infrequent conditioning. She advised me to use dry shampoo. “But isn’t it full of icky chemicals?” was my immediate question. I’m trying to use less toxic stuff and something that makes your hair look clean without washing it sounds most unnatural. But daily yoga practice, other than the totally gentle days, makes for sweaty hair that just has to be washed. Anyway, the hairdresser seemed a bit flummoxed by my question (just as well I refrained from asking her whether the coffee she offered me was organic and fair-trade! Joke — I would never be so rude!). I guess her professional life is all about the chemicals. After all people expect to come out of the hairdresser looking different and that sometimes takes more than a pair of scissors. Back home with my lovely squeaky-clean, slightly shorter, hair I tackled the laundry. Another unexpected consequence of sweaty yoga practice: the need for prompt laundering before my gear becomes seriously stinky. Between me and Hubby there always seems to be something lycra or something with a hood hanging around airing. 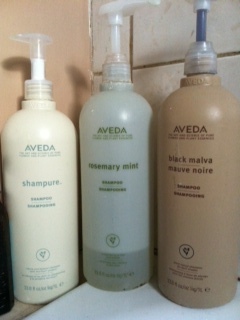 So I suspect I’m using more water than I used to, and in compensation (up pops ahimsa) I try to keep showers shorter. Well, other than an extravagant Sunday treat. 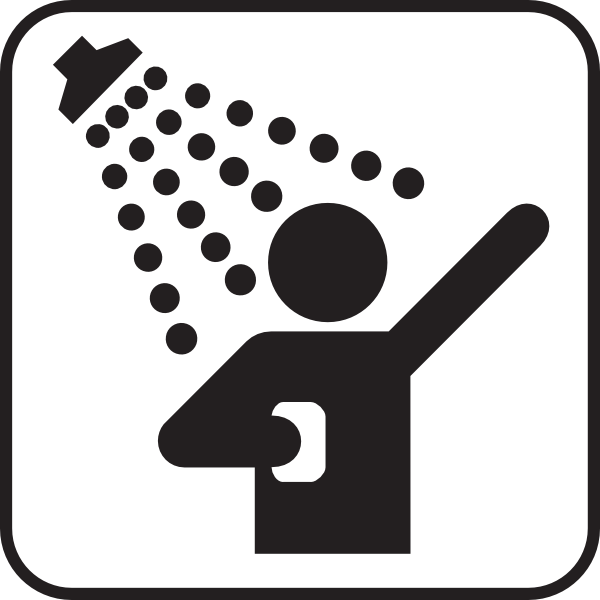 I really enjoy my Sunday shower! I come home from class and have the place to myself while Hubby is still at his gym. I lather up, I revel in the feeling of the water on my skin, and I often sing away happily especially if some music from class caught my ear. Sanskrit earworms are another strange side-effect of yoga! So where does all this get me with my keep-it-simple consideration of sauca? I guess most of all I feel more grateful now for the easy ability I have to keep myself, my clothes, and my home clean. I’d always totally taken it for granted before (except when I’ve been in hotter countries during a water shortage). I consciously take pleasure in some aspects of cleanliness (not just the Sunday uber-shower, I’m also weirdly relaxed by sweeping the floor of our apartment and use it very much as a mindful activity à la Thich Nhat Hanh (“You should wash the dishes to wash the dishes” i.e. be totally with whatever simple task you’re doing). I am aware that my cleaning habits have an impact elsewhere, in water usage and chemicals that don’t disappear magically once they’ve gone down my plughole. But for the latter issue at least I haven’t made many changes yet in what I use (I’m picky about personal toiletries and Hubby’s allergies mean any change is difficult to get past his nose — we tend to stick with what works). Plus I’m sceptical about products that are marketed as ‘greener’ somehow — I have to trust what they say, or take a degree in chemistry! At least I get my shampoo in industrial sized containers for better volume:packaging ratio — although it makes our bathroom look something like a salon! I’m also a bit baffled by ‘clean food’, but that’s another post. And when I understand, I can try to explain that to the hairdresser… Along with the kriyas maybe. Being upfront or staying at the back — where is my place in class? It’s amazing how opportunities to observe niyamas crop up everywhere.